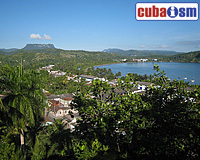 Due to its geographic isolation, Baracoa, Cuba, is just beginning to be discovered by tourists. Those who venture to this remote northeastern corner of the island will discover an almost unspoiled colonial village surrounded by secluded beaches and virgin rainforest. On the horizon looms the most recognizable local landmark, a table-toped hill called El Yunque. Baracoa's cobblestone streets are lined with one-story buildings, whose peeling, carnaval colored paint jobs and weathered tile roofs add, rather than detract, from their charm. Local people watch you curiously from wide verandas. Some may approach you to sell sweets, but they are not as mercenary as the venders in Havana. Baracoa, where cocoa trees grow in abundance, is famous its white chocolate, sold in round, flat cakes encased in palm bark. Also try the cucurucho, an ambrosia of honey, coconut, nuts and fresh seasonal fruit served in palm bark cone. 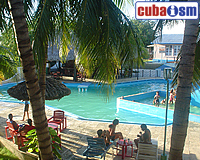 Visit our Baracoa website for more detailed information. Inaugurated 1979. Three Star. Gaviota. Loma del Paraíso. 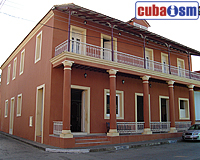 Located in the historical centre of the city (021) 45165. 34 standard rooms, all air conditioned with satellite TV. Radio. Outdoor pool. Duaba Restaurant with local and international food on the menu. Yumuri Grill Bar. Medical services. Here you can check hotel availability and make a reservation. 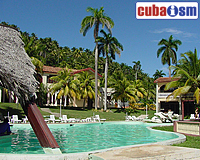 Visit our Hotel El Castillo website for more detailed information. Inaugurated 1992. Two Stars. Gaviota. Airport road. Located at the entrance of the bay. 80 standard rooms, 3 suites, all with satellite TV, radio, air conditioning. Outdoor pool. Safe. Restaurant with local and international food a la carte and buffet. Here you can check hotel availability and make a reservation. Visit our Hotel Porto Santo website for more detailed information. Inaugurated 1953. Three Star. Isla Azul. Máximo Gómez Nro. 161 % Pelayo Cuervo y Ciro Frías. 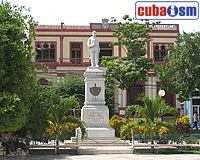 Located in the Malecón Avenue. (021) 43011. 12 rooms, 6 single and 6 double, all with minibar. Air conditioning. Satellite TV. Canteen. Restaurant.Here you can check hotel availability and make a reservation. 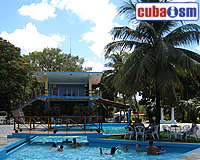 Visit our Hotel La Rusa website for more detailed information. Inaugurated 2004. Three Star. Isla Azul. Maceo Nro 126 esquina Frank País. Located in the centre of the city (021) 45273. 12 air conditioned rooms, with cable TV. Restaurant. Bar. Massage room. Internet room. Here you can check hotel availability and make a reservation. 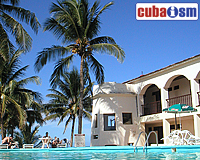 Visit our Hotel La Habanera website for more detailed information. Reopened January 2007. Two Stars. Gaviota. 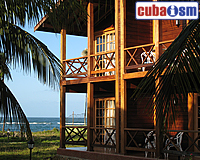 Located at 20 km outside Baracoa City 4 cottages with four rooms each one, designed in a charming rustic way, all air conditioner, mini – bar,Satellite TV, telephone, and room service. Here you can check hotel availability and make a reservation. Here you can check hotel availability and make a reservation. Visit our Villa Maguana website for more detailed information. Guantánamo is an aborigine name that means “land beween rivers”. This region is detached by the preponderance of mountainous rural zones, and important basins like Guantánamo-Guaso and Toa River. The North American capital started to interfere into the economy of Guantánamo at the end of the 20th Century, principally in the sugar industry, in the services and the jobs that the military enclavement at Naval Base in Guantánamo generated. 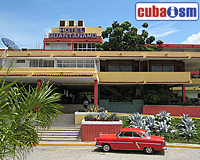 Visit our Guantanamo City website for more detailed information. 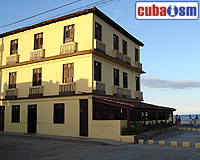 Welcome to my site dedicated to the Hotel La Habanera. 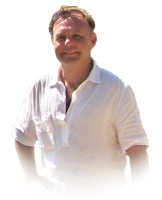 I am "poco a poco" researching and updating it with the aim to provide as complete as possible record of the hotel's ancient and recent history; bearing in mind that the goings-on today may one day be of historical interest.